DAVID LE/Staff photo. 3/7/15. 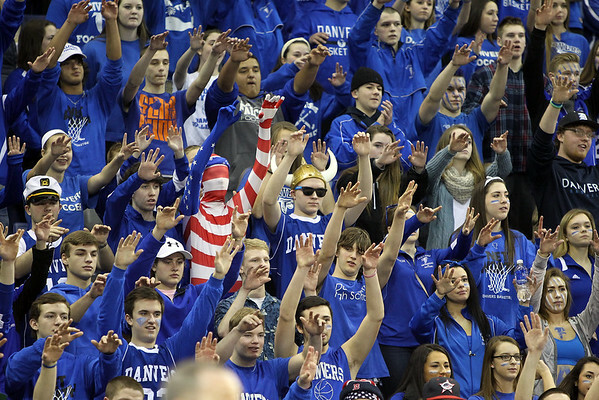 Danvers fans raise their arms in the air during Falcons free throw attempts during the D2 North Championship on Saturday afternoon at the Tsongas Center in Lowell. The Falcons defeated Arlington 50-47 to capture the D2 North Championship.